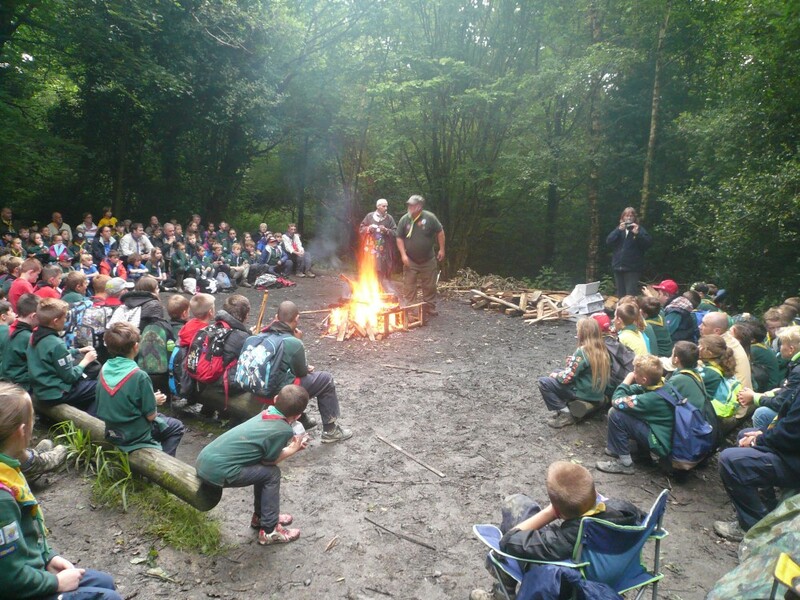 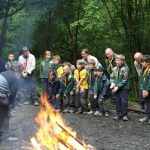 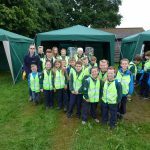 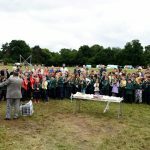 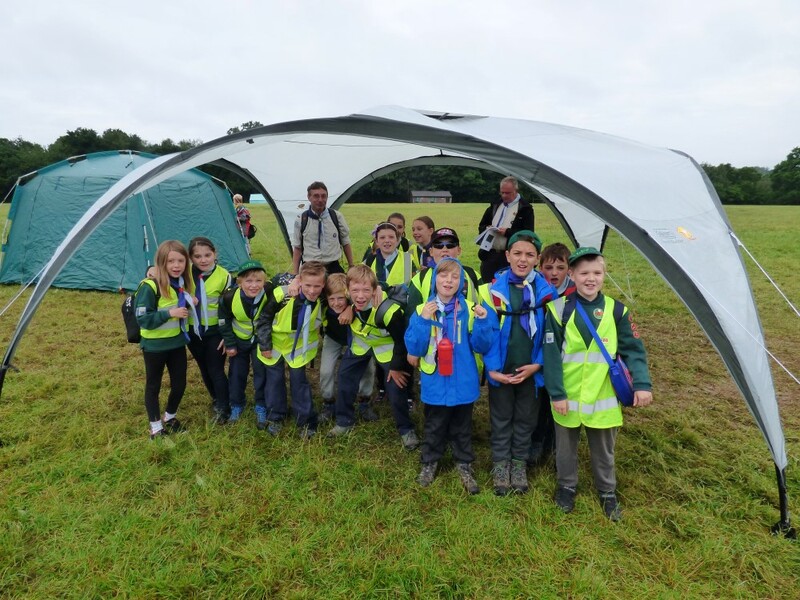 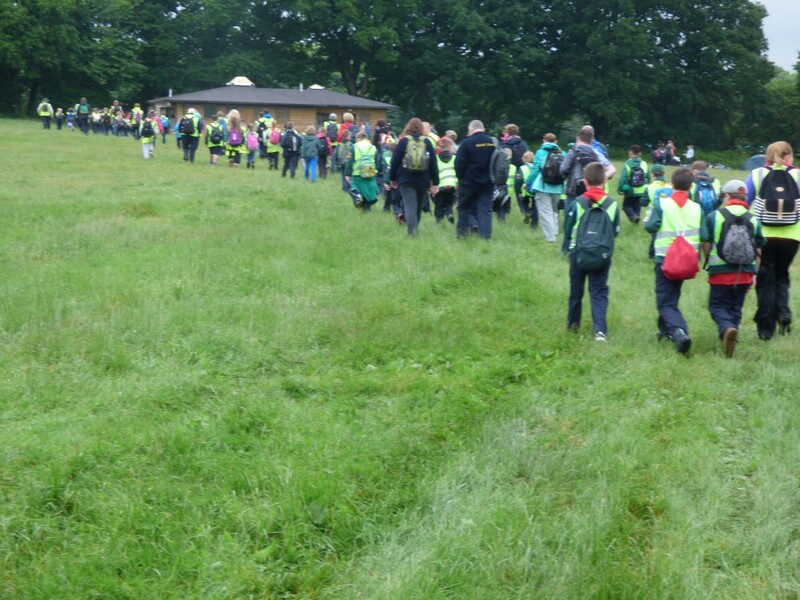 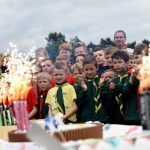 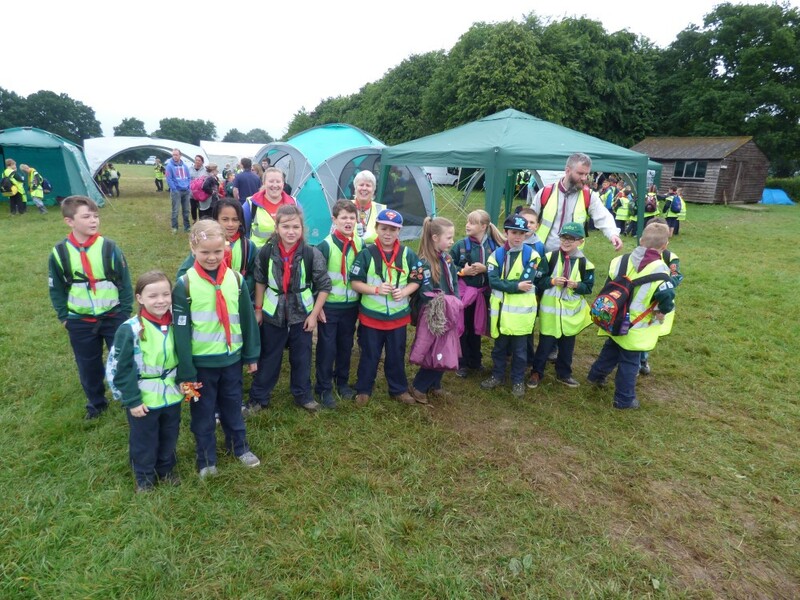 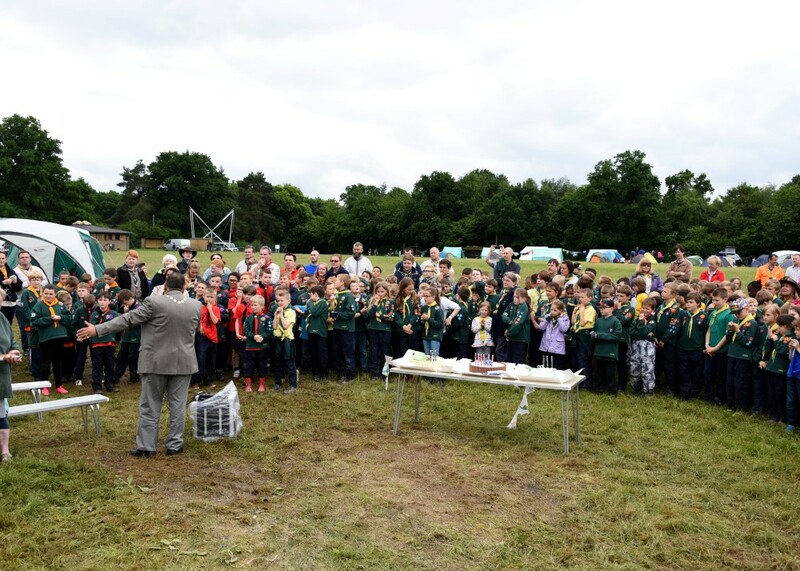 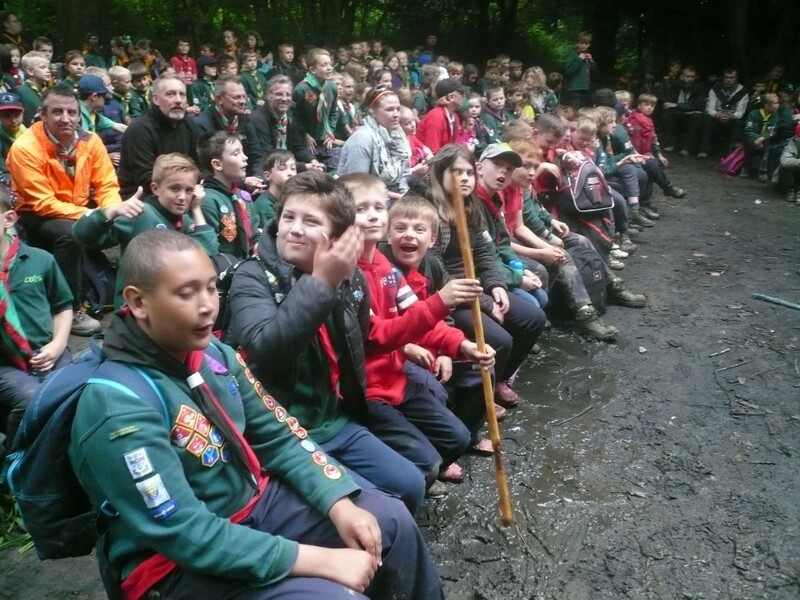 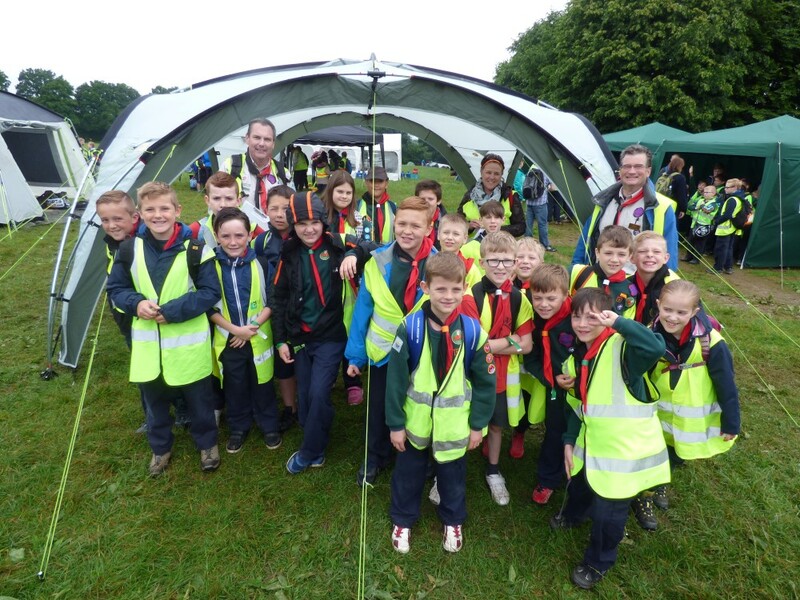 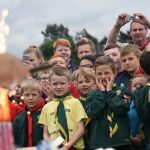 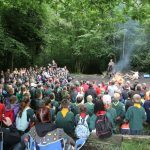 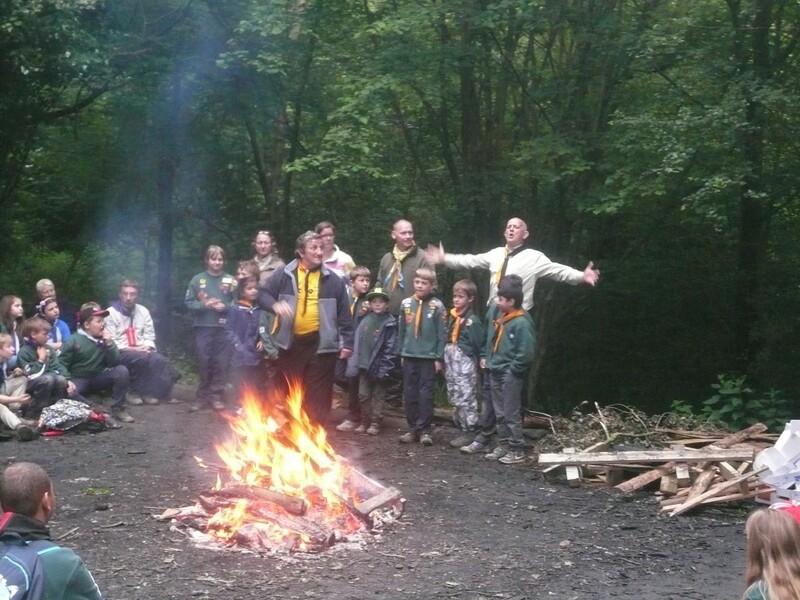 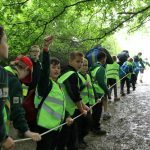 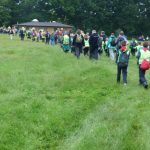 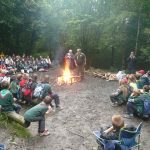 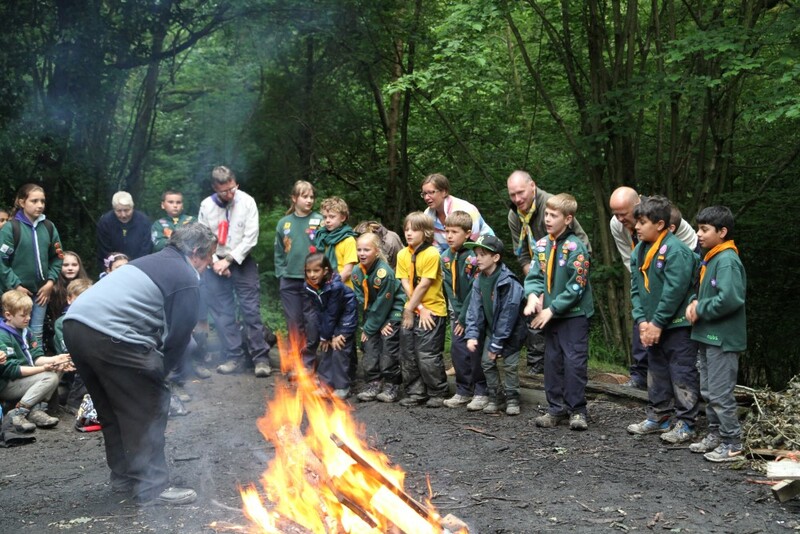 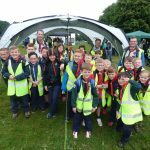 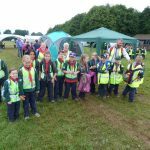 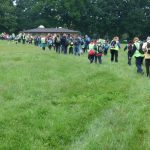 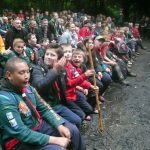 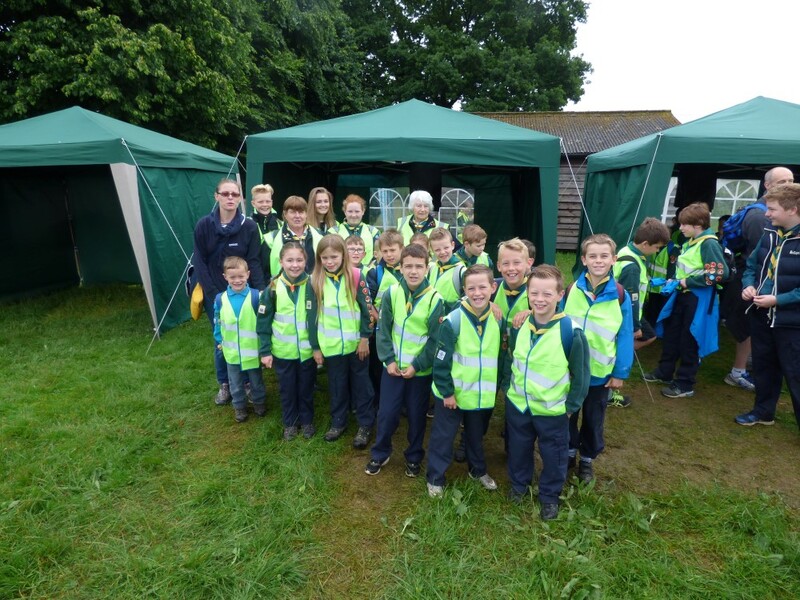 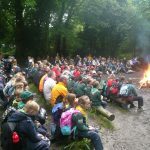 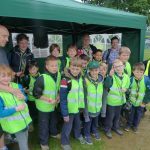 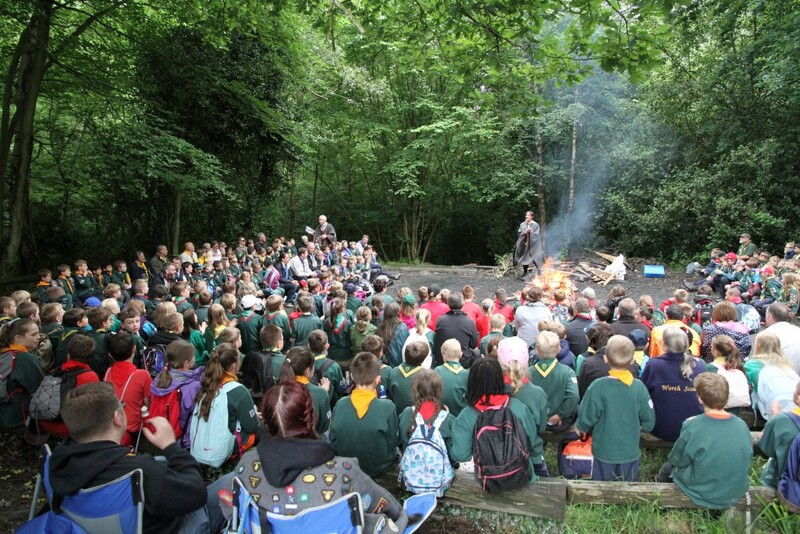 On Saturday 18th June, over 200 Cubs from Crawley District celebrated the centenary of Cub Scouting in style. 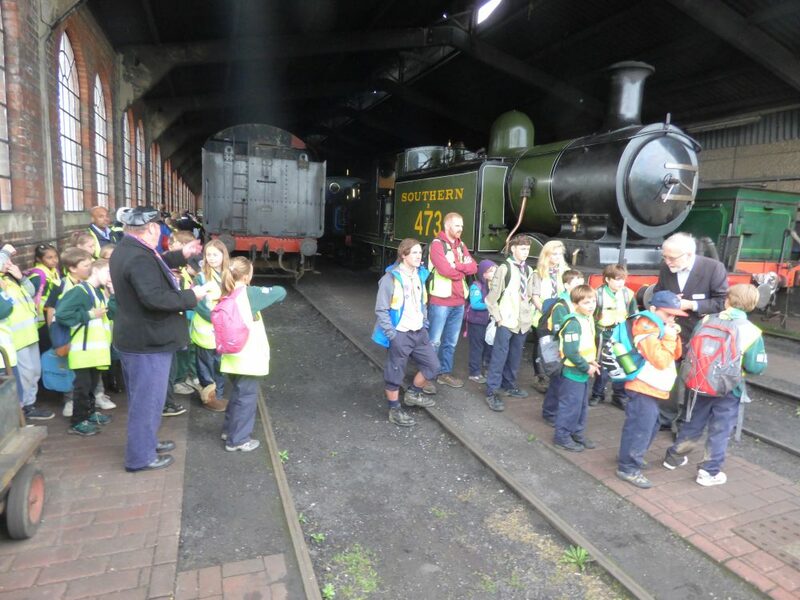 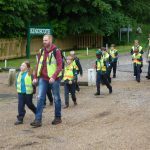 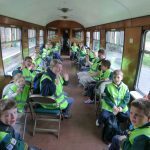 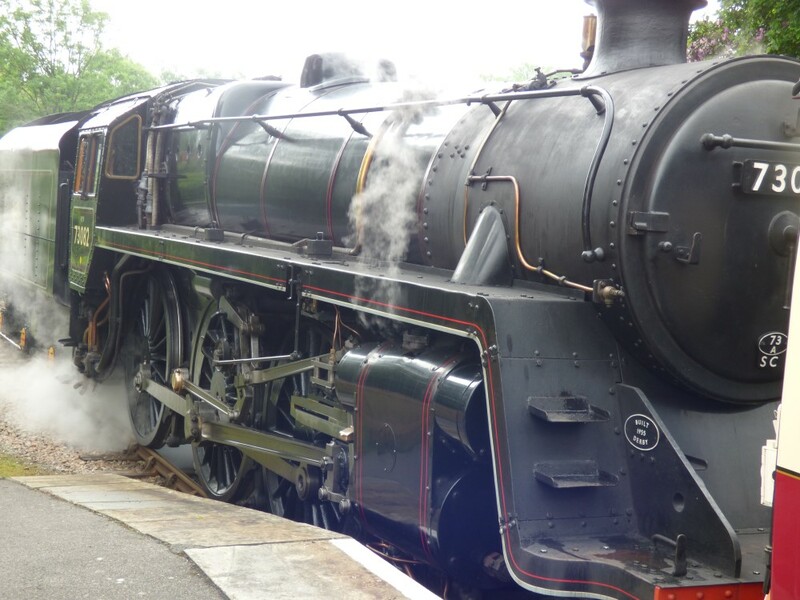 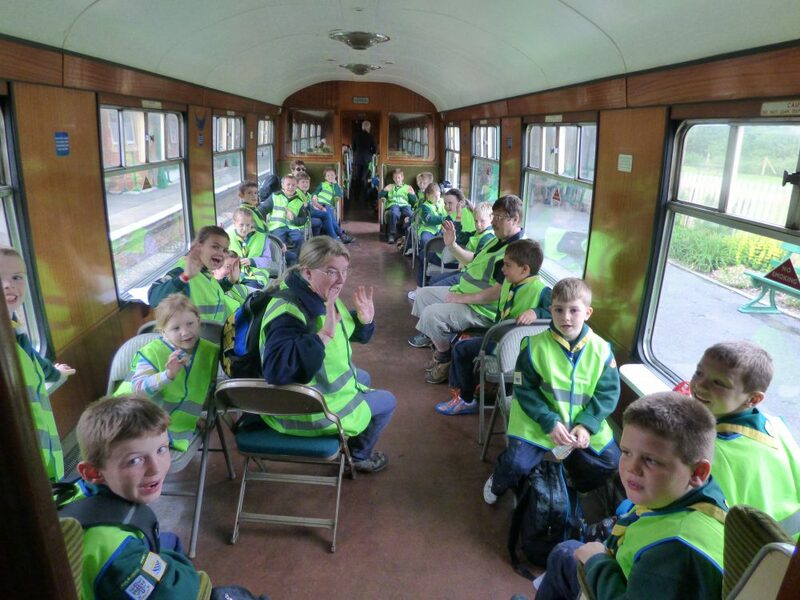 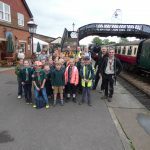 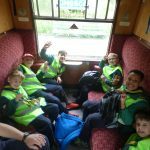 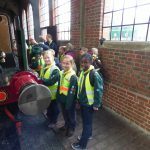 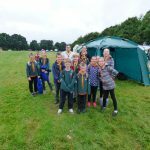 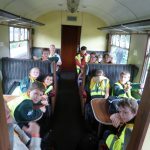 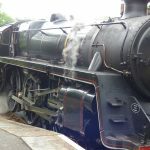 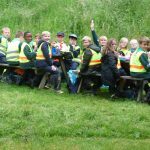 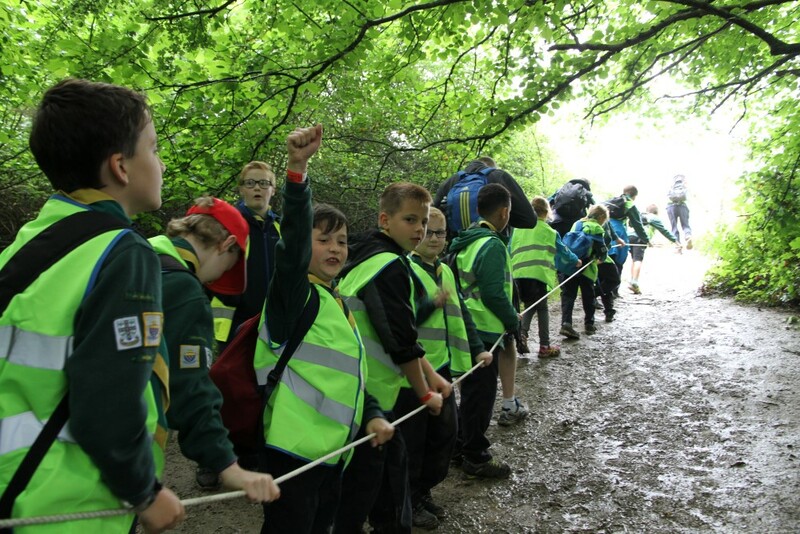 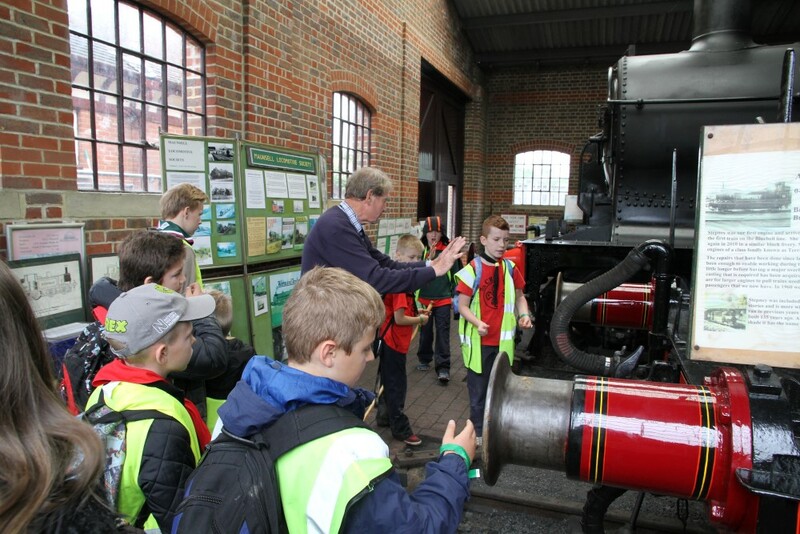 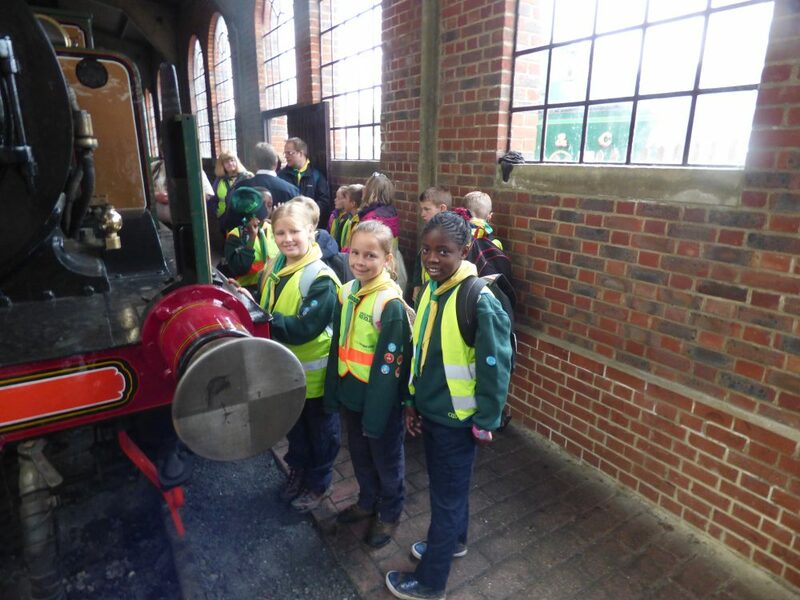 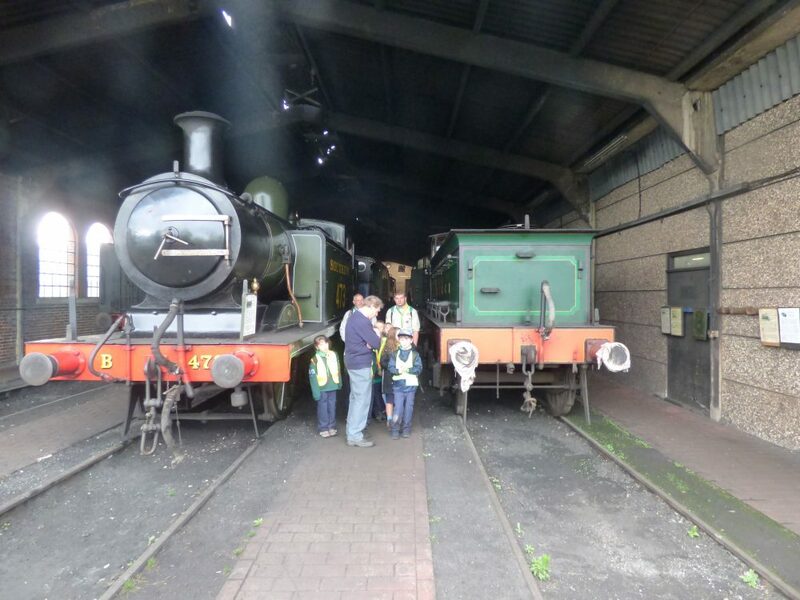 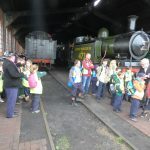 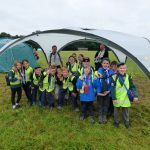 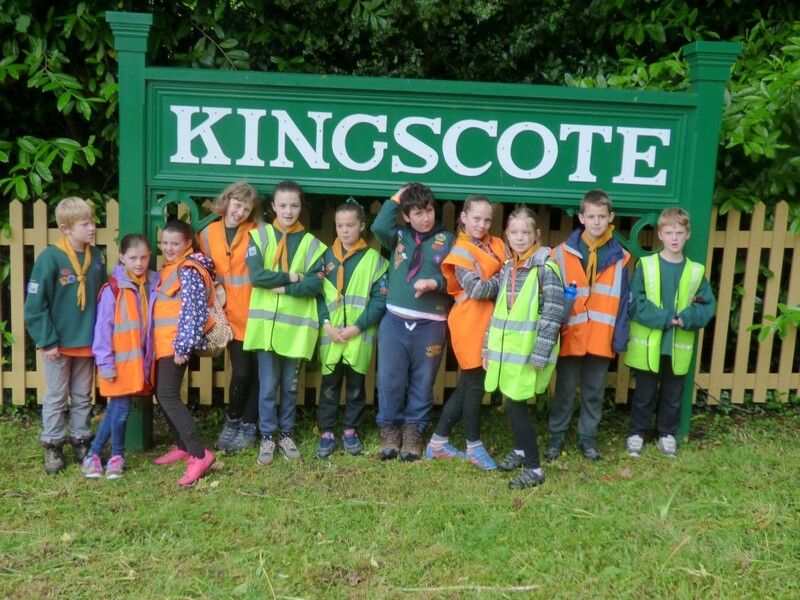 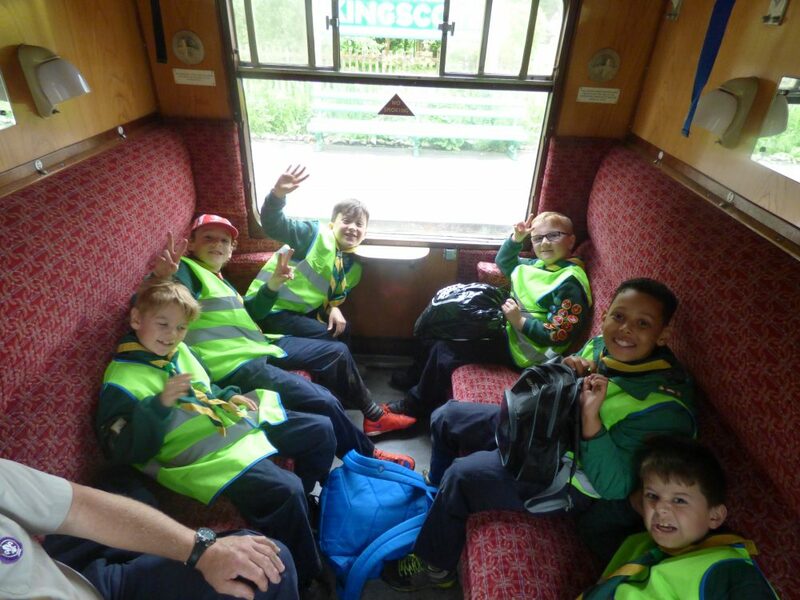 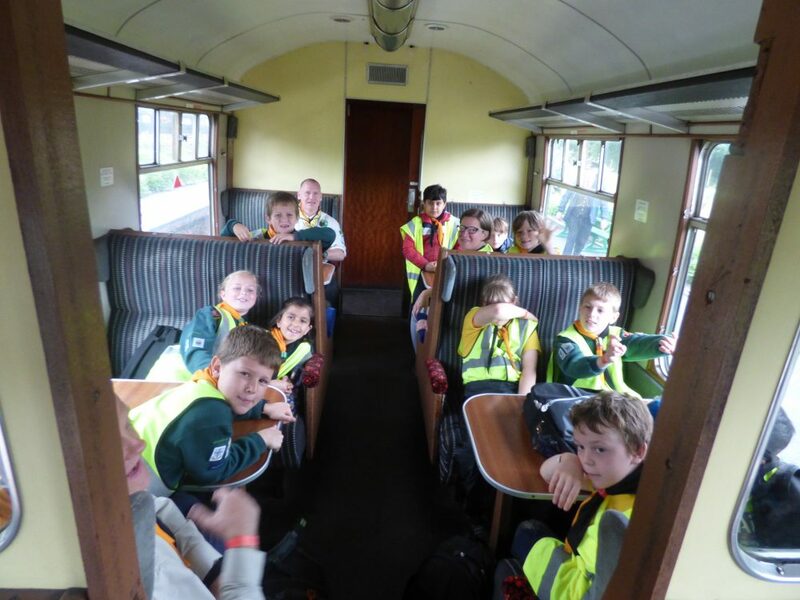 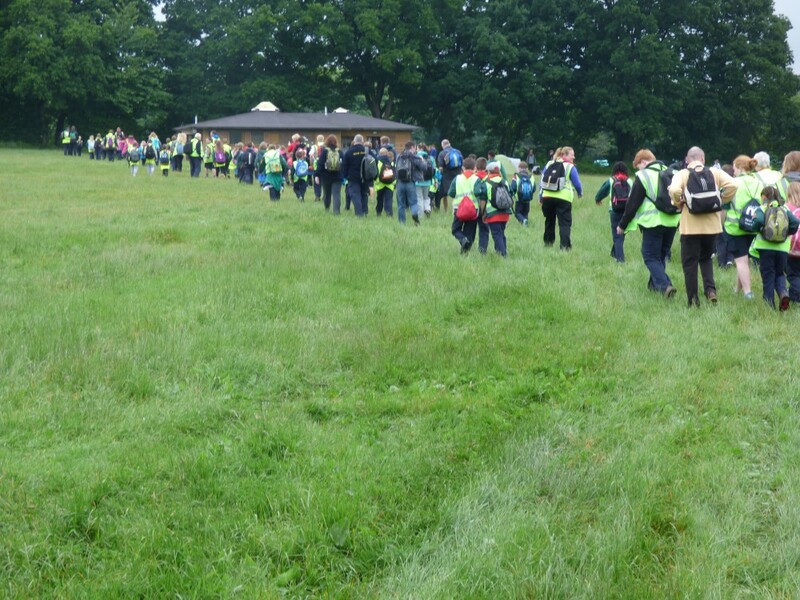 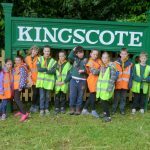 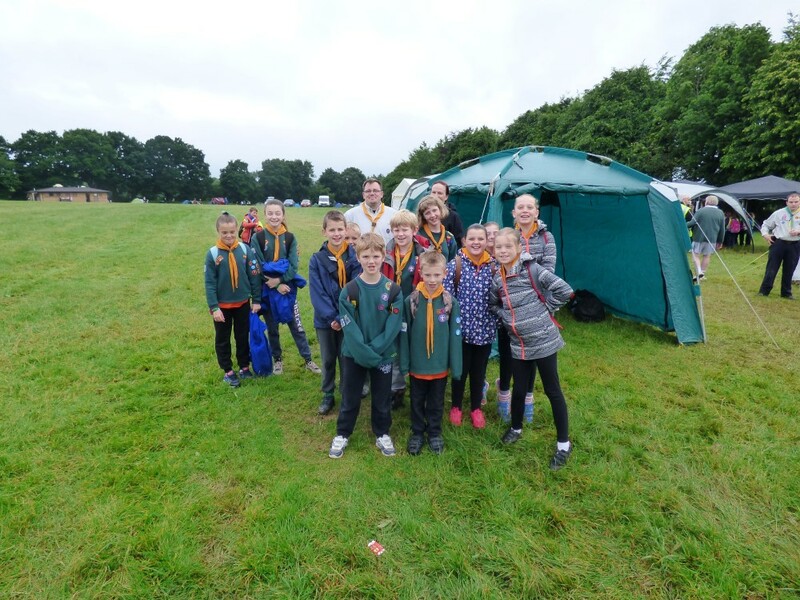 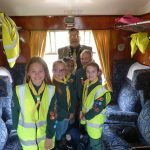 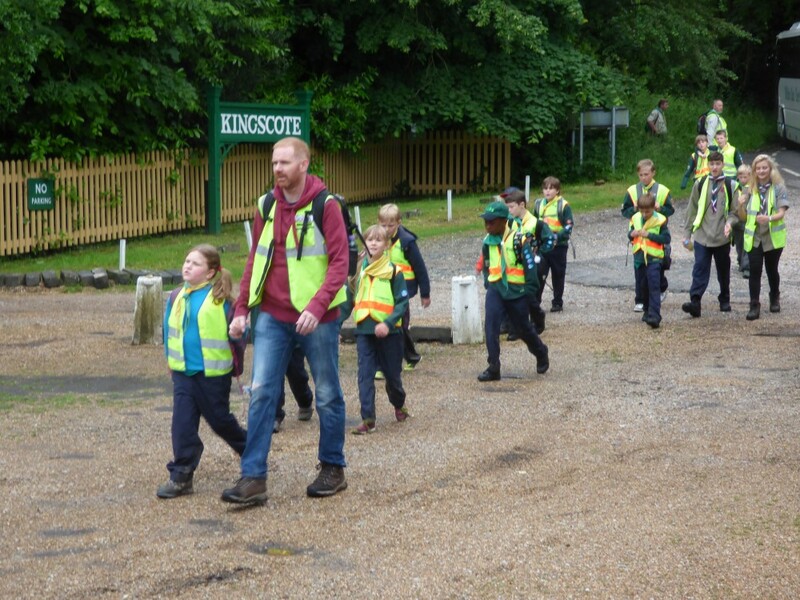 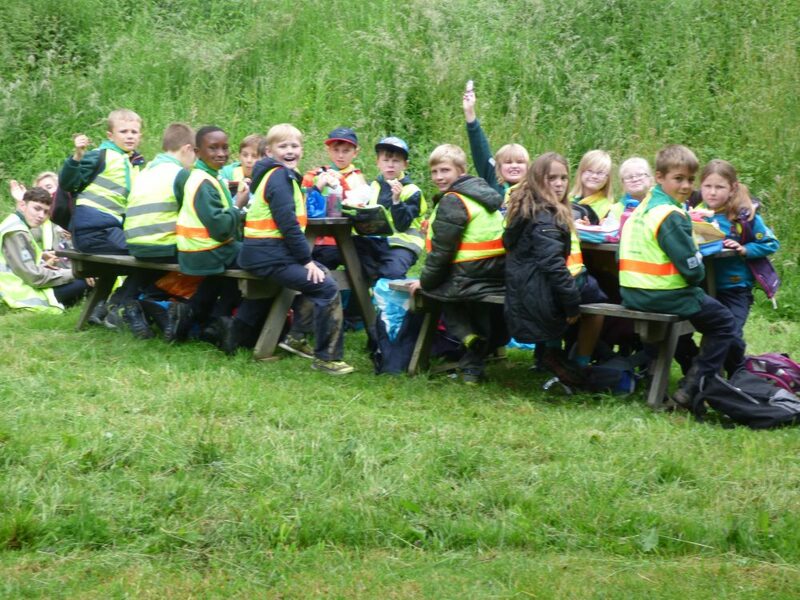 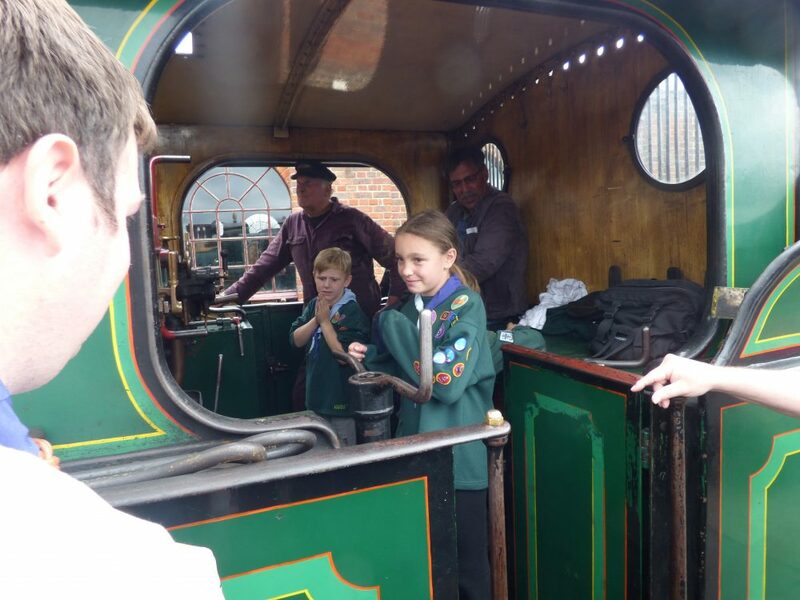 They met up with Leaders and other adults and friends at Blacklands Farm Guide Site at 8am, East Grinstead before hiking to Kingscote Station where they boarded their very own chartered train for the day. 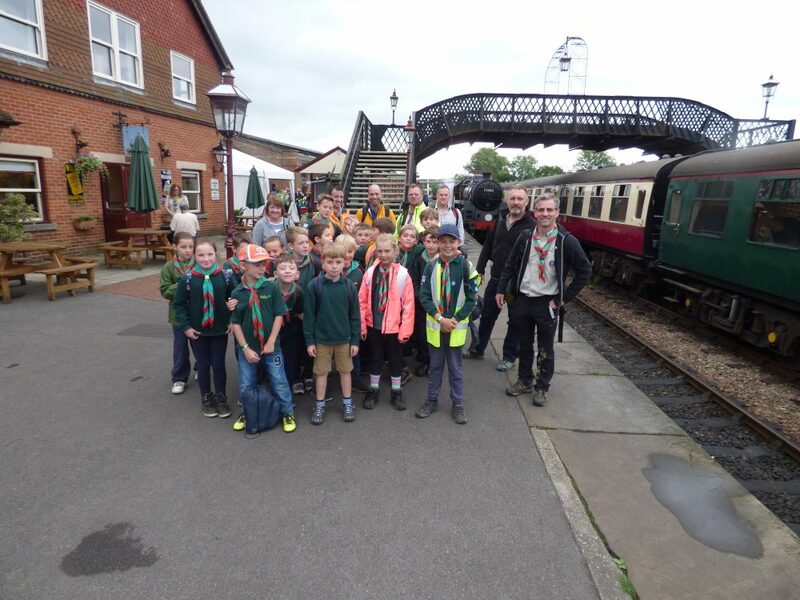 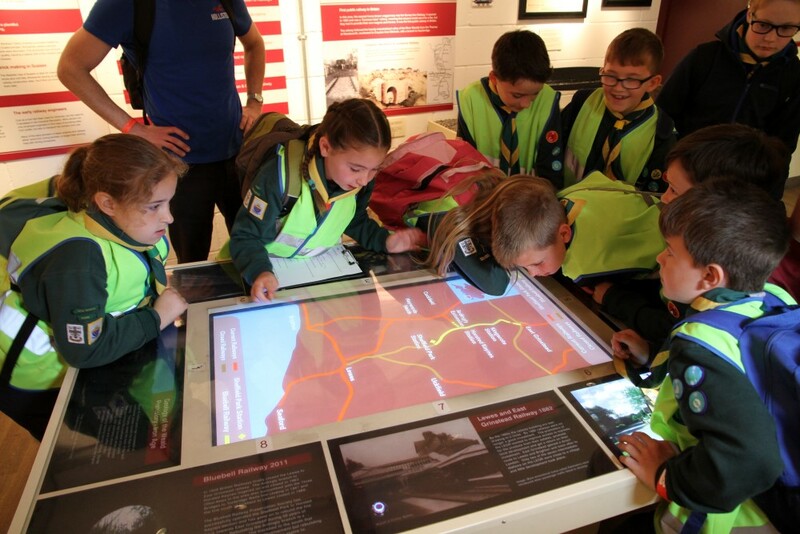 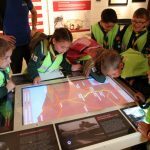 After a short journey South to Sheffield Park they spent 3 hours going round the Museum, Engine Shed, Shop, having lunch and watching a specially prepared DVD (as below) which covered the last 100 years of history, gadgets, aviation and Scouting. 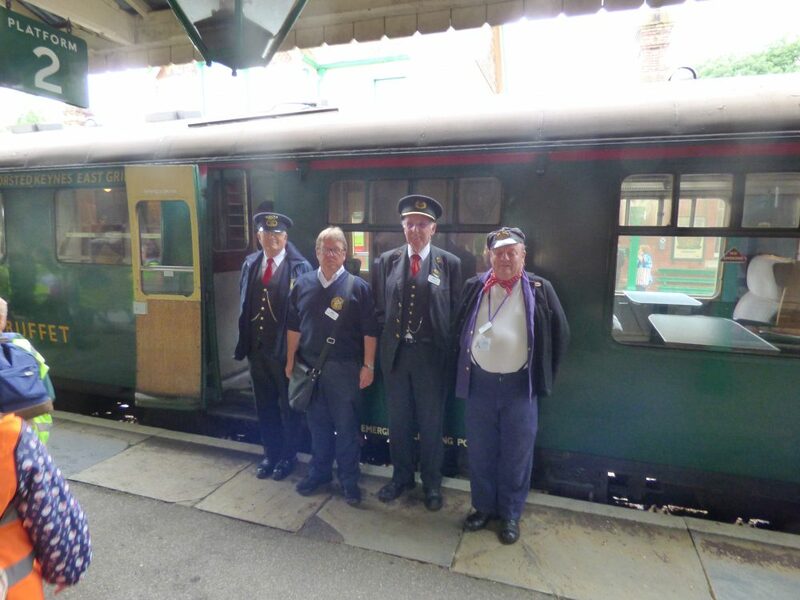 The staff at Sheffield Park were excellent. 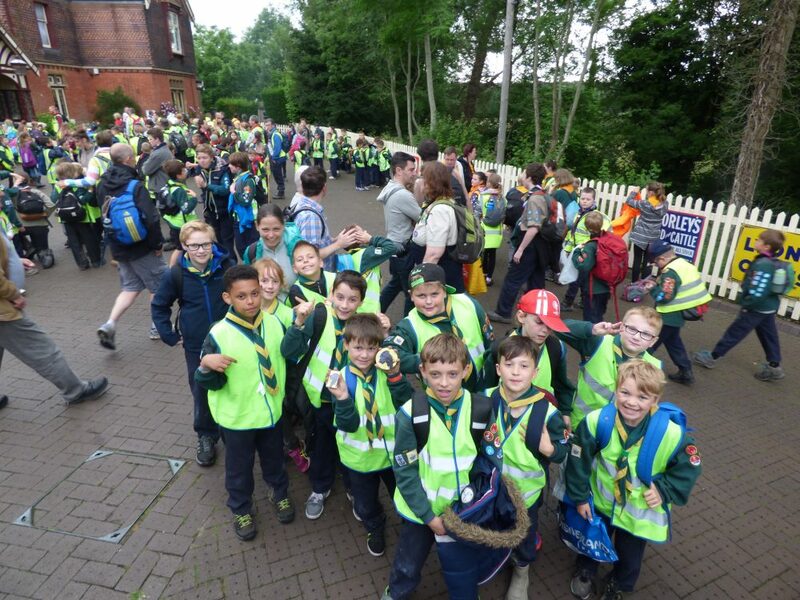 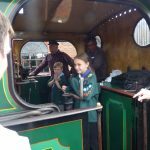 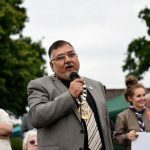 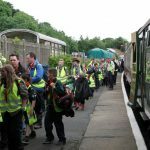 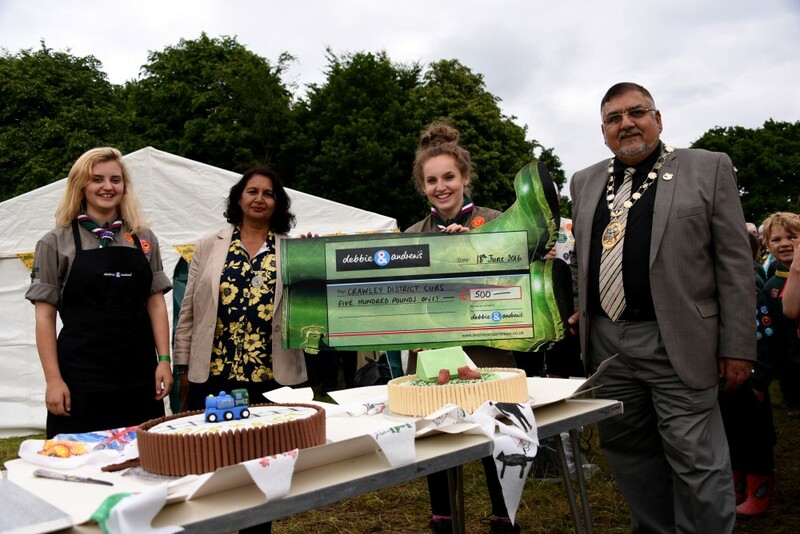 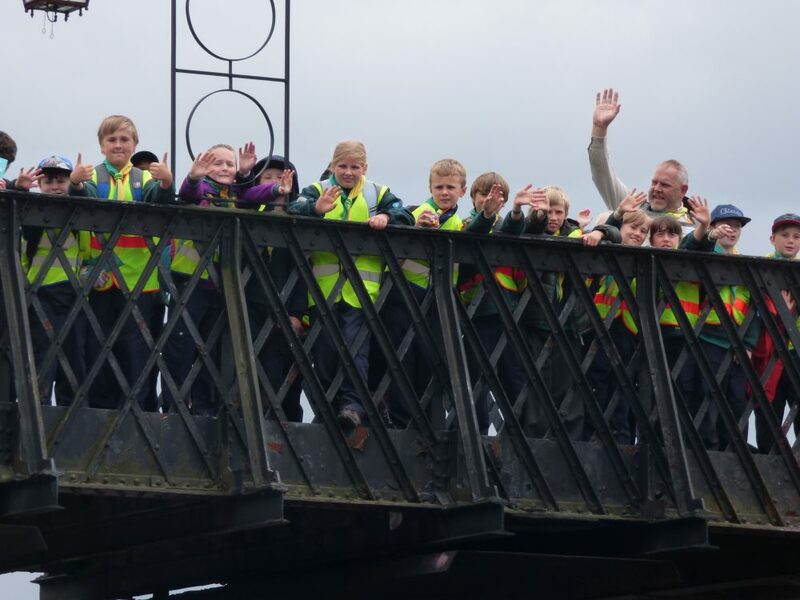 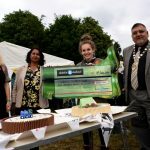 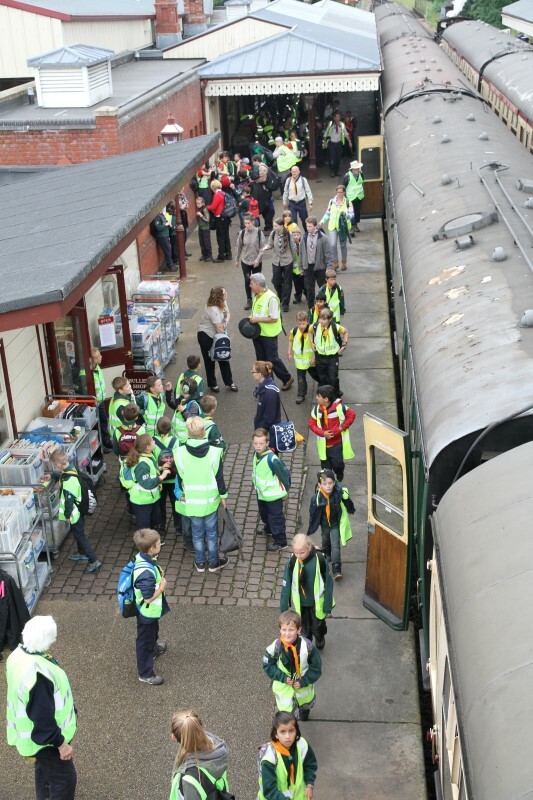 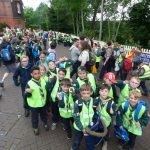 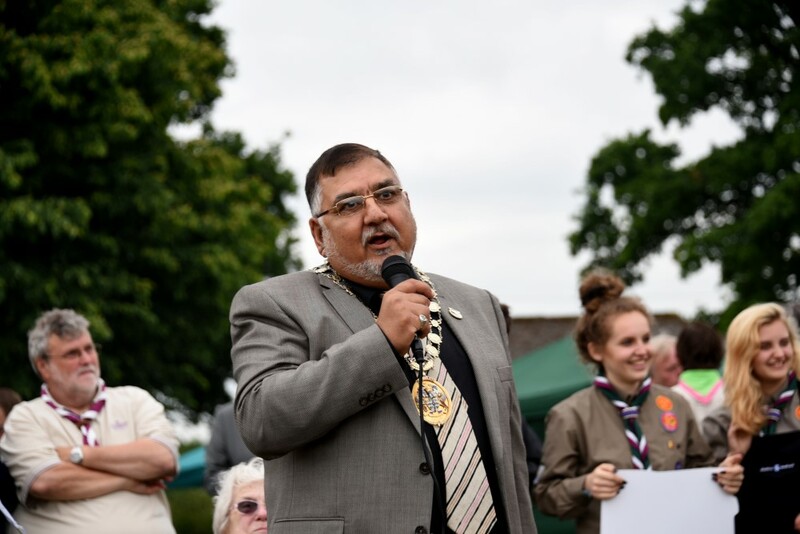 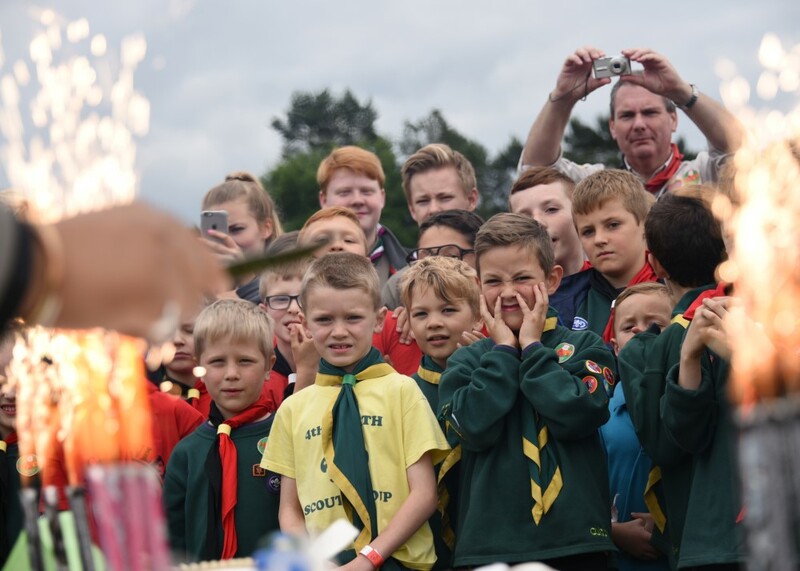 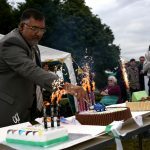 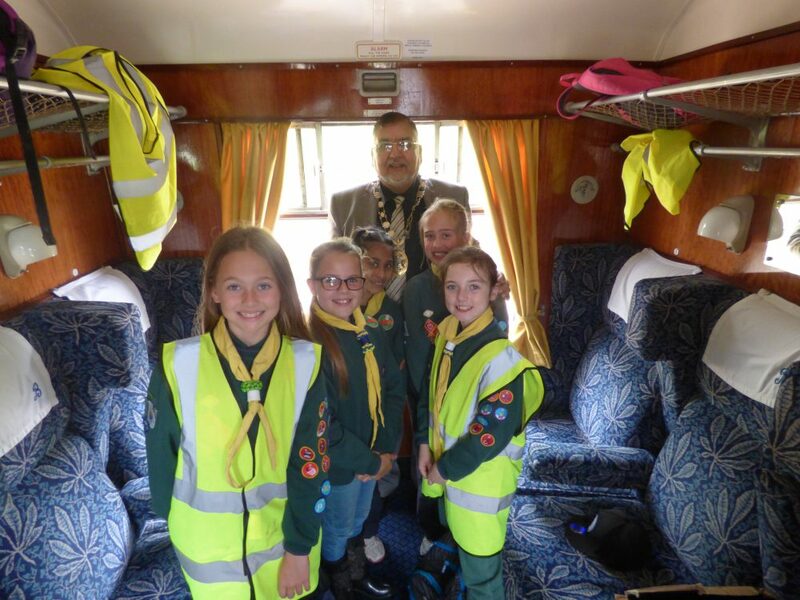 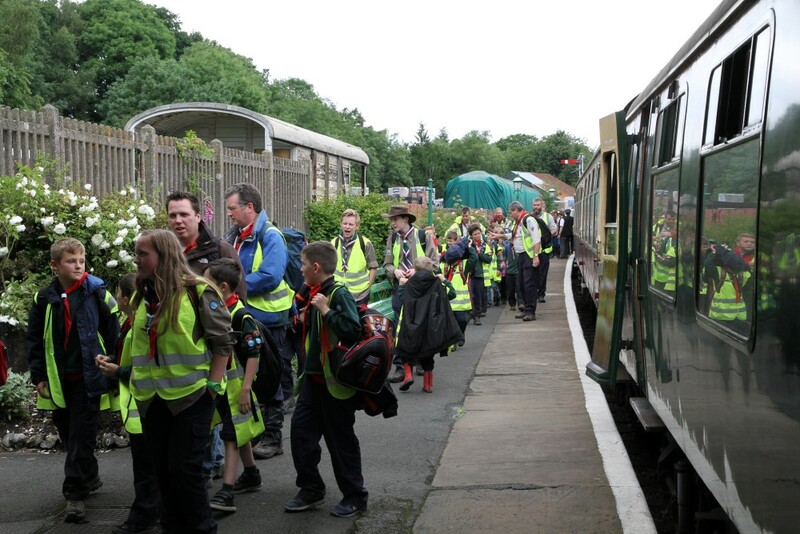 Three hundred Cubs, leaders, adults and guests were then joined by the new Crawley Mayor Cllr Raj Sharma and his wife and also Jill Gladman (Assistant County Commissioner Cubs) before then travelling the entire length of the BlueBell Railway to East Grinstead and returning to Kingscote Station. 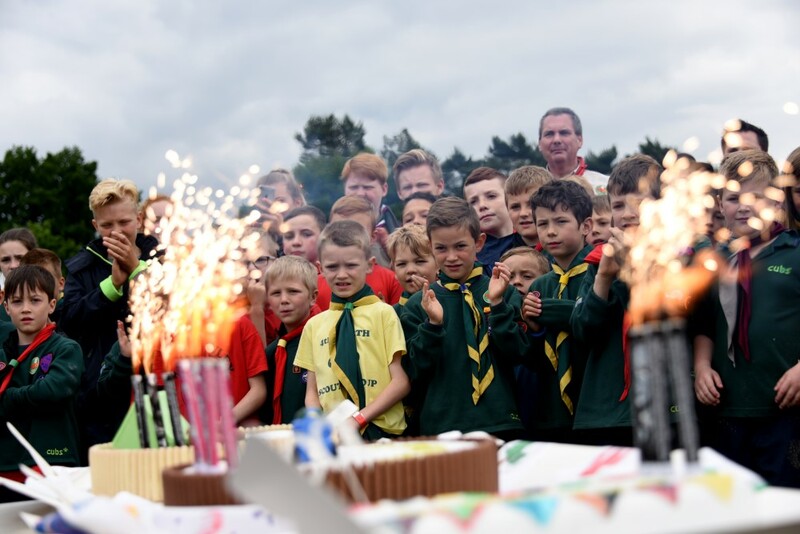 After a return hike to Blacklands Farm Guide Site, they sang happy birthday around a splendid Cake. 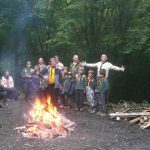 They were then joined by the West Sussex Scout County Chairman Colin Field and enjoyed a BBQ kindly supported by Debbie and Andrews which is a local sausage producing organisation that have a passion to make delicious, award winning sausages. 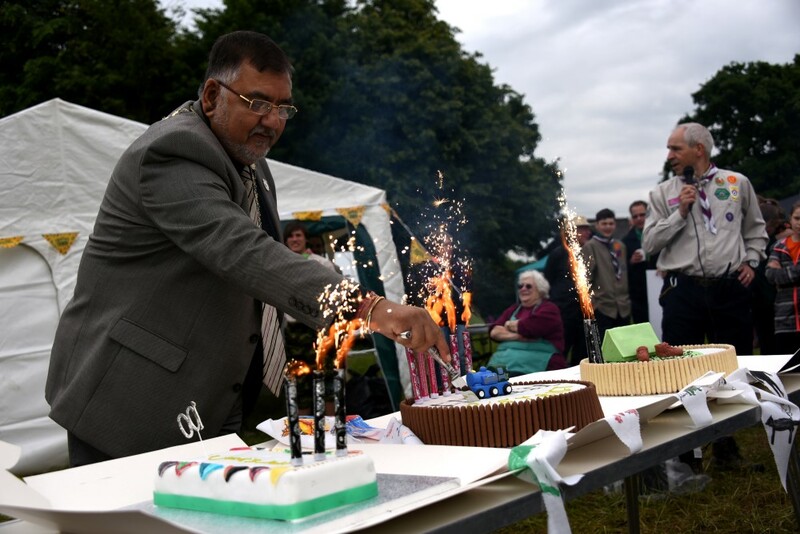 They also support rural projects that bring people together such as this event. 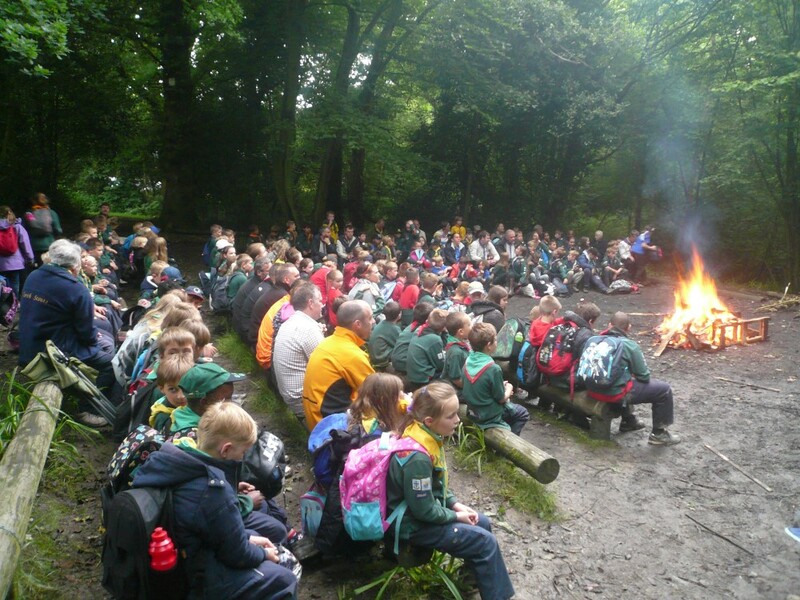 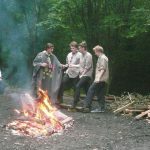 After the BBQ the day ended with a traditional Campfire in the evening followed by everyone receiving a Party Bag. 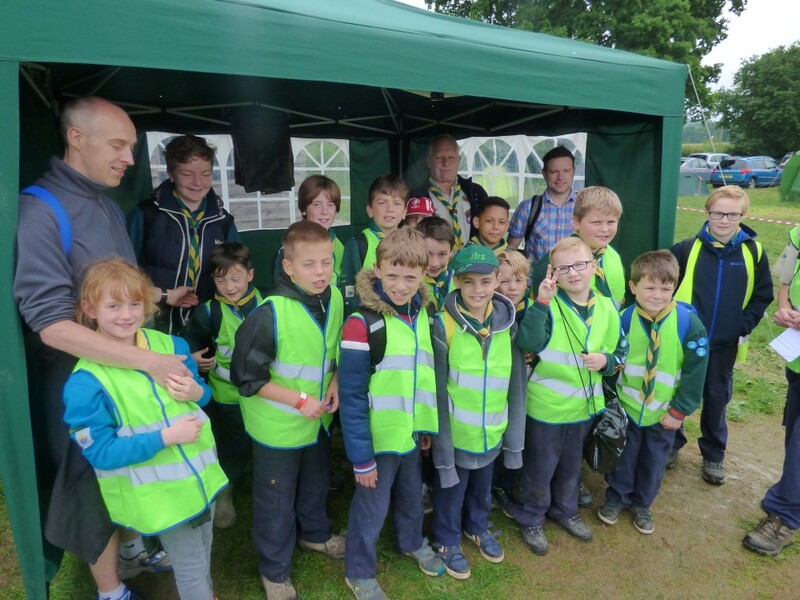 We would also like to thank 4×4 assist for providing event support in the form of traffic management and car parking. 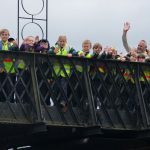 A full gallery of photos can be found on our website – go ahead and see if you can spot yourself! 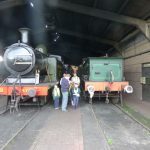 Please note we are still adding photos to the gallery so over the next few weeks – expect to see additional ones added at the end. 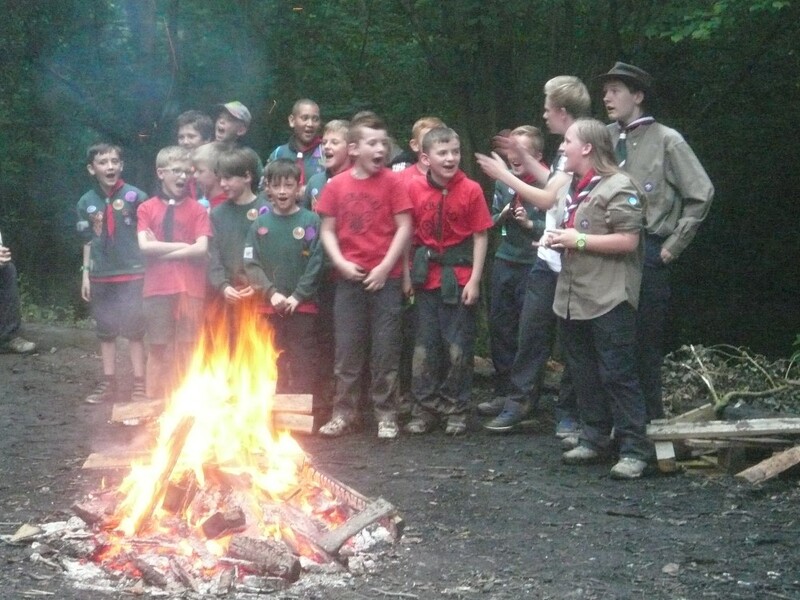 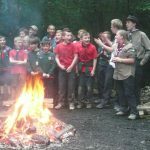 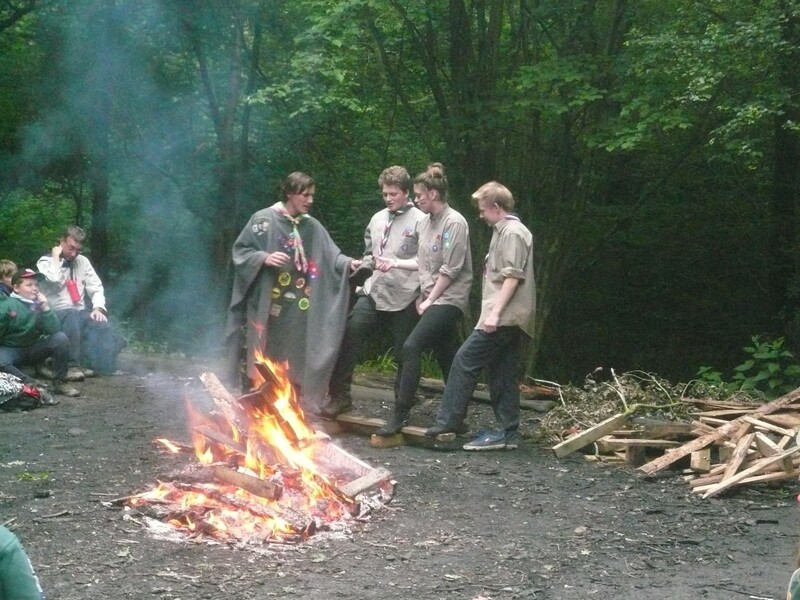 If your son / daughter would like to join Scouting in Crawley, please contact us here. 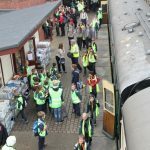 If you would like to volunteer as an adult and be involved in events like this, please contact us or phone 07907 792522 and leave a message.